I’m a huge believer that it’s NOT the gear that makes the photographer, but rather how the photographer uses that gear to create their art! In fact, I did a few personal shoots last year with an old Canon Rebel t2i to prove that it doesn’t take incredible gear to get incredible results! BUT. It’s also true that your gear is important in helping you navigate the world of lifestyle newborn photography. It’s important to show up to your client’s home with the essential pieces to help you do a beautiful job in any scenario. 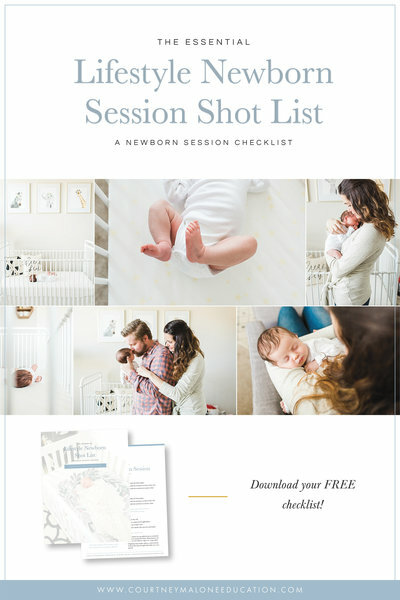 Having the right gear will help you get beautiful, consistent results, and more importantly, help you fill your calendar with lifestyle newborn shoots! 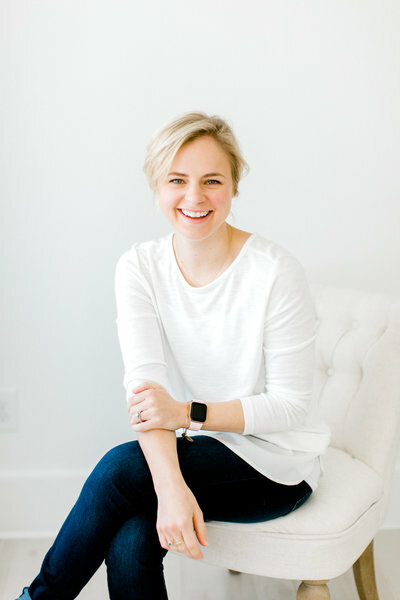 Here’s a peek into what I take to EVERY lifestyle newborn shoot! Canon 5D Mark III – this is my backup camera should my primary ever fail. Canon 50mm 1.2 Lens – I’ll occasionally pop on my 50mm lens for close up shots of baby! Canon 580 EXII Flash – Mastering flash has been such a game changer in my business. I never go to a session without it since I don’t know what my lighting conditions will be like. The model I have is no longer manufactured, but here is the version it’s been replaced with. 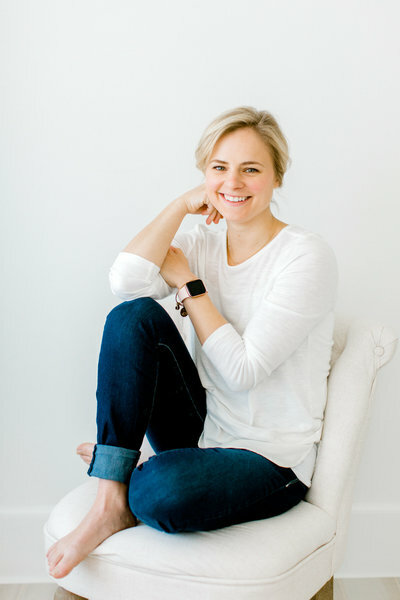 Small Step Stool – This may or may not be necessary for you, but at just 5’2, I need a little boost sometimes to get beautiful overhead shots of little babes, and flattering angles of mama and daddy with their babe! CowboyStudio Light Stand – this stand is small and portable, making it easy to transport from shoot to shoot. Yongnuo Remote Triggers – these are super cheap, but have been far more reliable than the expensive triggers I bought around the same time. Go figure! So what do I NOT take!? I don’t take any props to my lifestyle sessions! 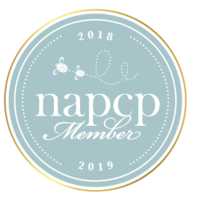 I let my clients know in advance that I don’t use any props, just the natural elements of their home and their arms as the perfect backdrop for baby! I truly love to keep it simple, and not using props creates a much more natural story-telling approach for these sessions! I also don’t take any softboxes, umbrellas, or extra accessories for flash use. Just my flash and a light stand! Simplicity is always my goal, and I’ve found a super simple set up really goes a LONG way. *Please note that this post does contain affiliate links! I will only ever recommend products I use and love. Thank you for your support of this free content so that I can continue to share more with you! Want a list of the shots I get at EVERY shoot? 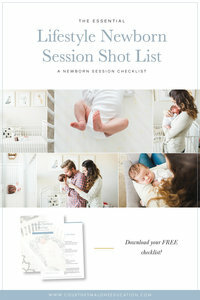 Grab your free copy of “The Essential Lifestyle Newborn Session Shot List” below!